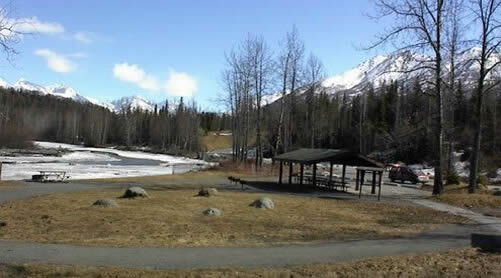 Opens the last weekend in April – Unless the snow is still around. Check our Facebook page (below) for updates. Reservations accepted, must be made 7 days or more in advance. 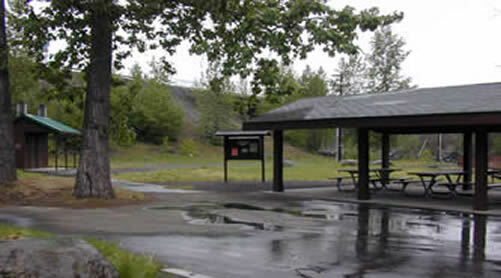 There are 57 campsites, with paved parking, firepits and picnic tables at each site. 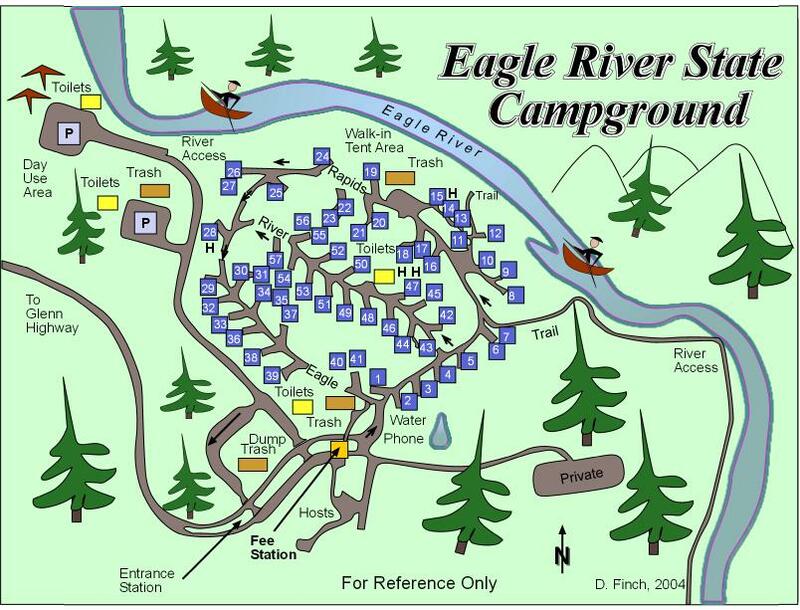 8′ to 15′ sites are tent only and are on the river. 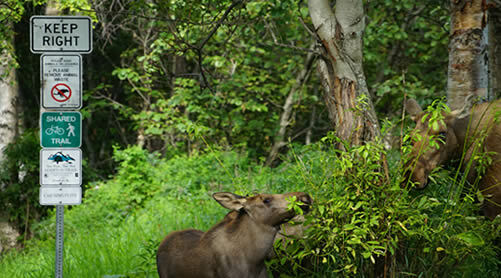 Bear-proof food storage provided. 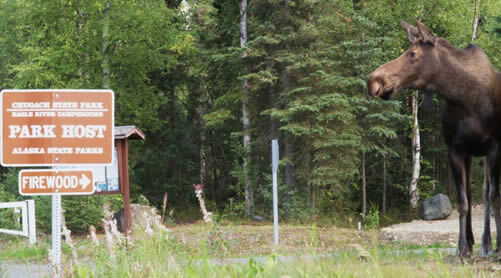 Located 10 miles north of Anchorage. 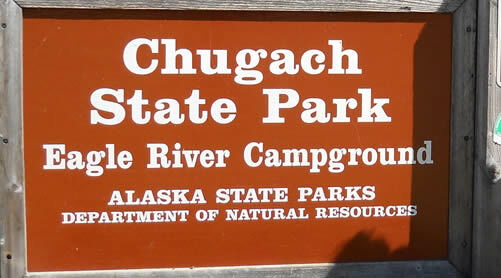 Take the Glenn Highway north, take the Hiland Road Exit (Mile 12). Go straight at the stop sign. 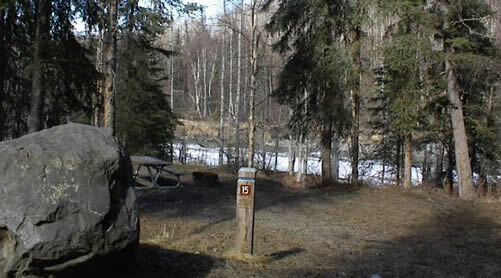 Follow park signs onto frontage road to Eagle River and Eagle River Campground. 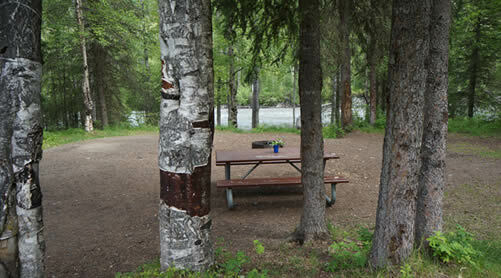 Lifetime Adventures offers a private secluded site with firewood, citronella candle, water, and other extras included. 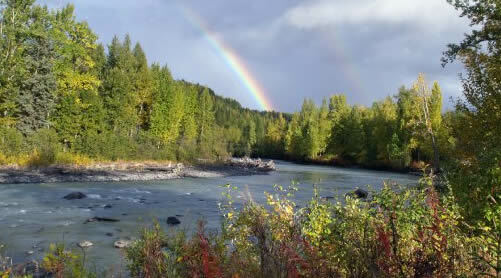 There is only one private site available per day, so make your reservation early! 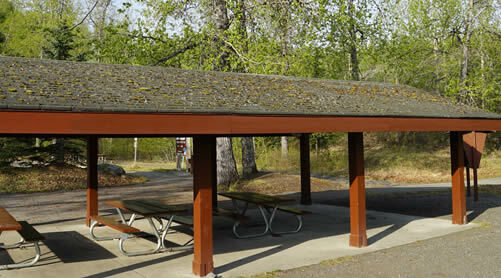 Our group tent site offers three tent platforms that can hold 3-4 tents each. Reserve this for your group early! A $5 reservation fee will be applied. 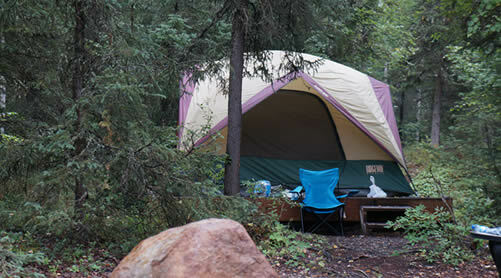 Maximum of 4 nights for campsite reservations.